Adorama Daily Deal – Ends Tonight at Midnight! A retro-designed camera that will make taking selfies a whole lot more fun (and easy! ), the all new Fujifilm X-A3 mirrorless camera features a large touchscreen 180-degree tilt LCD, 11 film simulation modes and 10 advanced filters. 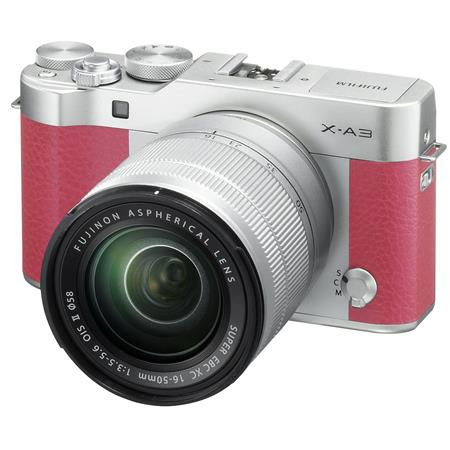 The FUJIFILM X-A3 sports a retro design that appeals to the younger generation. The retro feel gives a “fresh” and “fashionable” impression. The top cover, front plate and top dials are made of aluminum. The newly-developed faux leather has significantly enhanced the overall texture. The LCD on the rear uses a touchscreen to enable “Touch AF,” “Touch Shoot” and “Touch Zoom,” in which you use the pinch-out finger gesture to use a prime lens as if it is a zoom lens. When fitted with the supplied lens “XC16-50mmF3.5-5.6 OIS II,” it can focus on a subject at a distance of approx. 7cm from the front edge of the lens. 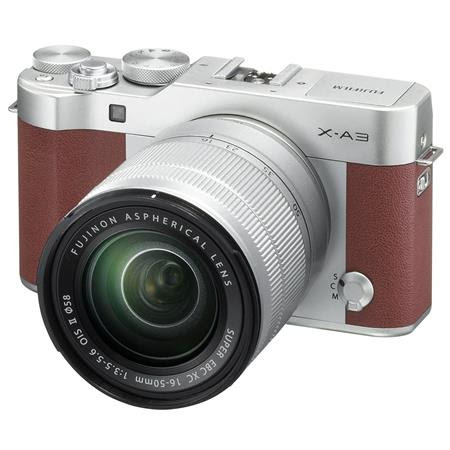 The FUJIFILM X-A3 combines a newly-developed 24.2 megapixel APS-C sensor with the image processing engine to achieve Fujifilm’s excellent photo quality. Combined with the supplied FUJINON lens which boasts ultimate image resolution, to deliver outstanding image quality, recording your subject’s texture, form and even the atmosphere of the scene.